Delhi's promising instrumental rock outfit Submarine In Space will kick-off its debut album tour on 28 September. 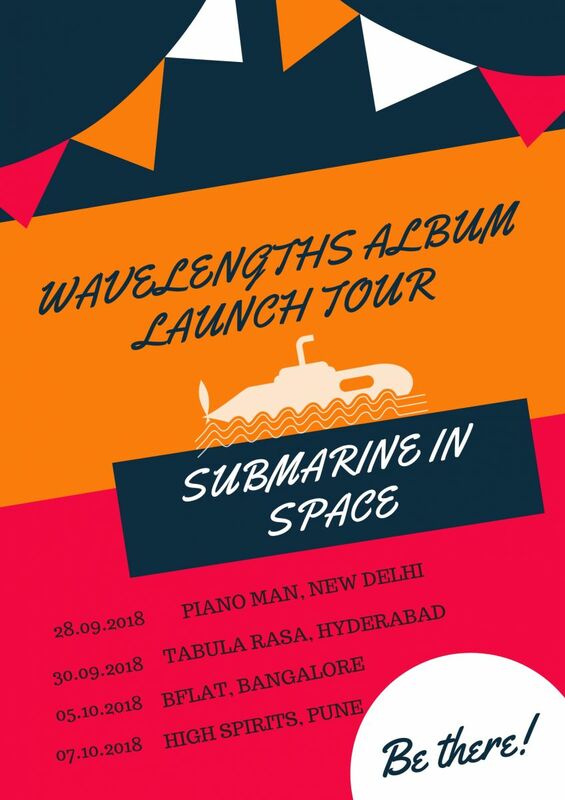 Delhi-based instrumental rock band Submarine In Space has released only three singles in the last two years, and the five-piece act already finds itself a week away from its biggest effort so far. Titled Wavelengths, Submarine In Space's debut album is scheduled to release on 28 September. But that's not it, the band will initiate its first four-city tour on the same night. The band had earlier supported fellow Delhi-based instrumental/experimental band The Revisit Project's 'Album And A Half Tour' in Delhi, Mumbai and Bengaluru. However, the Wavelength tour revolves around the band's biggest effort so far, with Pune and Hyderabad acting as new additions. The band hopes to add more cities as the album launch date approaches.